Triad’s InRoom Mini Sub is our new subcompact powerhouse with an 8″ driver, designed for venues where small size is important, but so is authoritative bass. 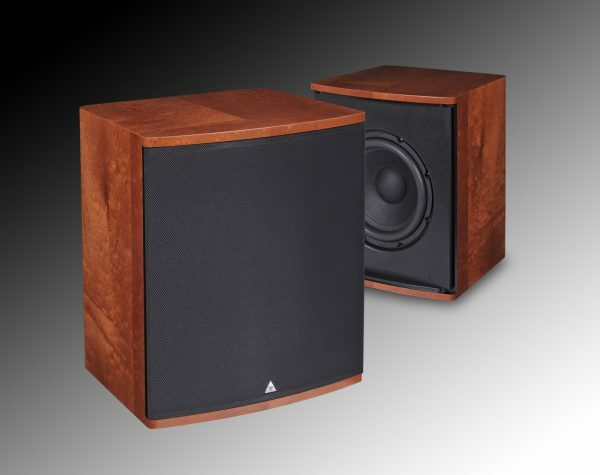 Triad’s new subwoofers offer the best in performance, value, and versatility, in a stunning new industrial design. 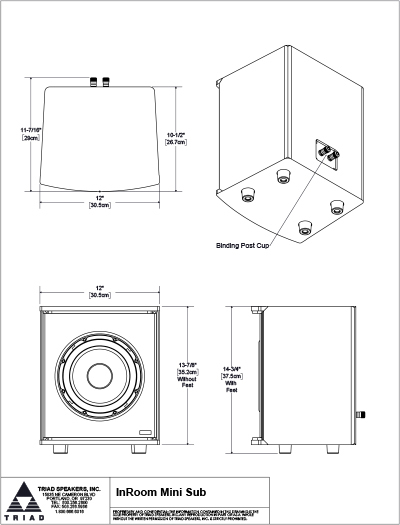 With all new drivers, enclosures, and powerful, efficient amplifiers, there is a Triad subwoofer for any application. New SubAmp technology combines Class AB performance and near-Class D efficiency with set-up and calibration features as recommended in CEA/CEDIA’s new state-of-the-art defining document CEB-22 “Home Theater Recommended Practice: Audio Design”. The RackAmp 300 provide simple”plug-and-play,” and EZ set-up. Great performance right out of the box in nearly any room. Triad’s new series of long-throw woofers provide greatly increased output and headroom over previous Triad subwoofers, but with low distortion and visceral impact. Custom paint matching and an infinite number of veneer finishes are available because we build all our Subs one at a time in America, just for you.